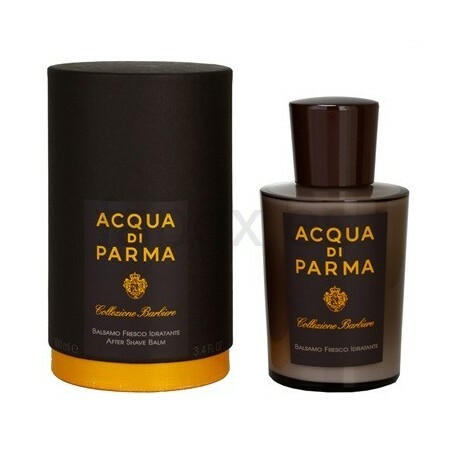 Acqua di Parma Aftershave Balm Collezione Barbiere 100ml. This product is alcohol free meaning that it is recommended for sensitive skin. The skin quickly absorbs the gel type balm. The texture is lightweight and fresh which allows for a calming, soothing effect on the skin. The balm moisturizes the skin and restores the proper hydro-lipid film which has been removed by the use of a razor, helping to prevent ingrown hair. The “Collezione Barbiere” is a modern twist on traditional Italian shaving. 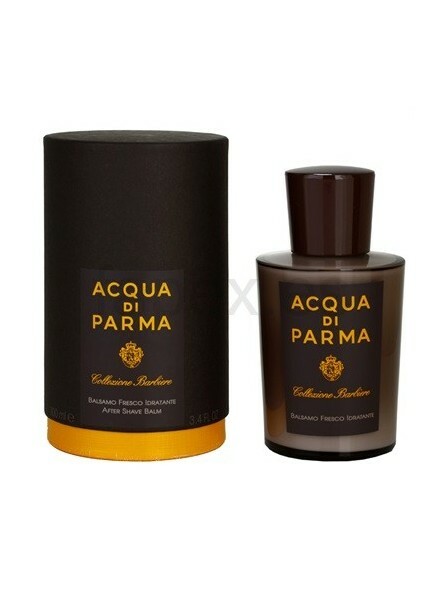 This product range by Acqua di Parma has been thought up for those men who care about their wellbeing. A range of high quality products, rich textures with an elegant and innovative design.